Attributes: Dairy Free, Kosher, Natural or Organic Ingredients, VeganIngredients: Organic Onions, Organic Bulgur Wheat, Organic Mushrooms, Wheat Gluten, Organic Long Grain Red Rice, Organic Tofu (Filtered Water, Organic Soybeans, Nigari [Magnesium Chloride, A Natural Firming Agent]), Organic Quinoa,.. Attributes: Natural or Organic Ingredients, VeganIngredients: Filtered Water, Vital Wheat Gluten, Expeller Pressed Safflower Oil, Non-Sulphured Dried Apples, Yeast Extract, Maple Syrup, Barley Malt, Onion Powder, Garlic, Natural Hickory Smoke Flavor With Torula Yeast, Spices, Sea Salt, Black Pepper,.. 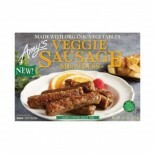 Attributes: Foodservice (Bulk Pack), Kosher, Natural or Organic IngredientsIngredients: Organic soy tempeh (cultured organic soybeans, water, organic brown rice), water, organic soy sauce (water, organic soybeans, organic wheat, salt), organic vinegar, organic evaporated cane juice, less than 2% of:.. Attributes: Kosher, Natural or Organic IngredientsIngredients: Organic textured soy protein with water, organic wheat gluten with water, expeller pressed sunflower oil, egg whites, corn starch. 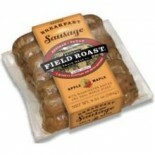 Contains 2% or less of torula yeast, natural non-meat flavor, sea salt, malt powder, spices, expeller pres.. Attributes: Low Salt / Low Sodium / Reduced Sodium, Natural or Organic IngredientsIngredients: Mycoprotein (50%), Rehydrated Egg White, Textured Wheat Protein [Wheat Flour, Sodium Alginate (Stabilizer)], Canola Oil, Seasoning (Yeast Extract, Salt, Potassium Chloride, Sugar, White & Black Pepper, Mar.. Attributes: Low Salt / Low Sodium / Reduced Sodium, Natural or Organic IngredientsIngredients: Mycoprotein (45%), Rehydrated Egg White, Textured Wheat Protein (Wheat Flour, Wheat Gluten, Wheat Starch, Stabilizer, Sodium Alginate), Onions, Rapeseed Oil, Milk Protein, Seasoning (Yeast Extract, Salt, P.. 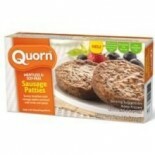 Attributes: Dairy Free, Kosher, Low Salt / Low Sodium / Reduced Sodium, Natural or Organic Ingredients, Vegan, Wheat Free..